31 January 2018 – Kota Kinabalu, Malaysia: The largest global sports media property in Asian history, ONE Championship™ (ONE), has just announced that its new documentary series “Rich Franklin’s ONE Warrior Series” will be making its way to the tropical local of Kota Kinabalu in Malaysia in search of the next martial arts superstar. This leg of tryouts will be held at Borneo Tribal Squad in Kota Kinabalu, Malaysia on 23 February. Rich Franklin’s ONE Warrior Series is a new documentary feature which will run in 30-minute episodes. Since the establishment of ONE Championship in 2011, various martial arts athletes have shot into superstardom in Asia, names such as “Unstoppable” Angela Lee of Singapore, Eduard “Landslide” Folayang of the Philippines, and “The Burmese Python” Aung La N Sang of Myanmar. Rich Franklin’s ONE Warrior Series aims to discover new talent, providing promising young athletes with the platform to unleash their martial arts greatness. The screening and tryouts process will consist of pad sessions, grappling demonstrations, conditioning exams, and an interview process, among others. Once selected, athletes will compete in professional bouts with a chance at earning a USD 100,000++ contract with ONE Championship based on performance. 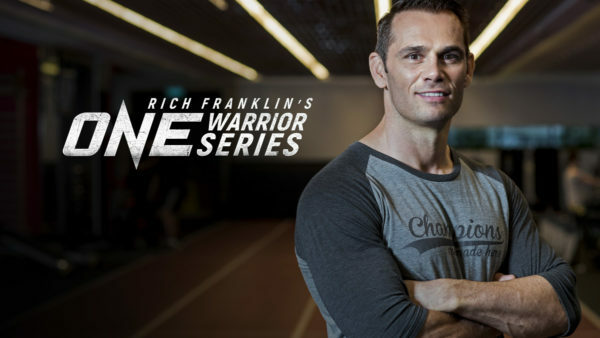 The episodes of Rich Franklin’s ONE Warrior Series are available on ONE Championship’s YouTube channel.